Current approximate asking price of around 200,000yen per tsubo, 9,296tsubo (as of 05072018). accept any reasonable offer. 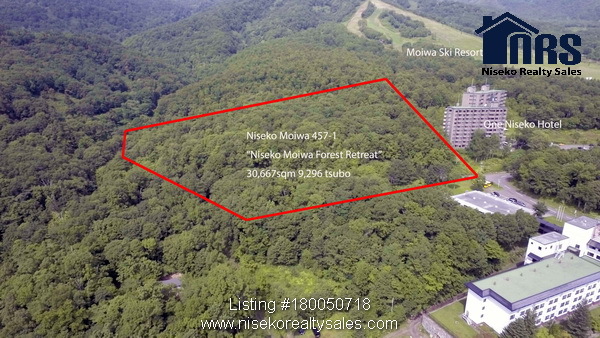 This property is within the Niseko Quasi Planning area therefore up to a maximum footprint of 50% of the total land area, maximum floorarea ratio is 200% of the total land area. The site is approximately 3.67 hectares therefore a hotel with a height up to 25m can be built. 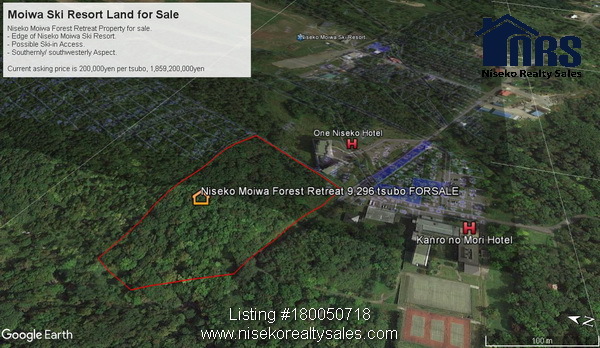 Any development over 3,000sqm would require a Hokkaido Development approval. Any development over 1 hectare in size would come under Hokkaido Forestry Development laws therefore a green corridor of 30m would need to be left around the border, etc. Also, based on hotel classed residences or private holiday homes being built the maximum buildable footprint may reduce to 40% of the total land area. 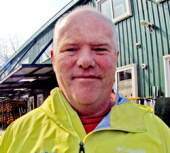 The front road (approximately 170m road frontage) is owned by the government and should be of ample width for development approval purposes. The south edge of the property is bordered by the Konbu creek, apart from adding privacy for a hideaway retreat accommodation, this creek should be able to be used with gray water or rain water runoff when planning a future development. It is recommended that all due diligence be carried out, with consultation with local authroities based on a future development plan, prior to purchase. 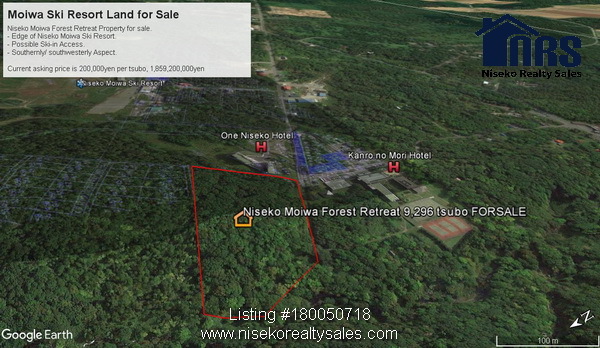 Contact Ross at Niseko Realty Sales for turther information.